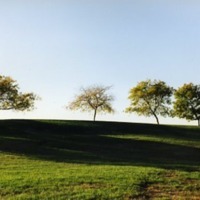 A photograph of a meadow and trees at Eisenhower Park located at East Meadow, N.Y. Band playing on bandstand at Eisenhower Park. 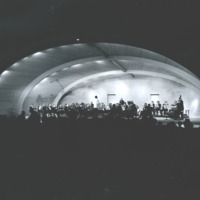 Orchestra performing on bandstand at Eisenhower Park (formerly known as Nassau County Park at Salisbury) during an evening concert.